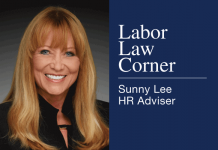 Home Compliance How Is Paid Sick Leave Law Working at Your Business? 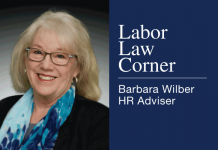 How Is Paid Sick Leave Law Working at Your Business? 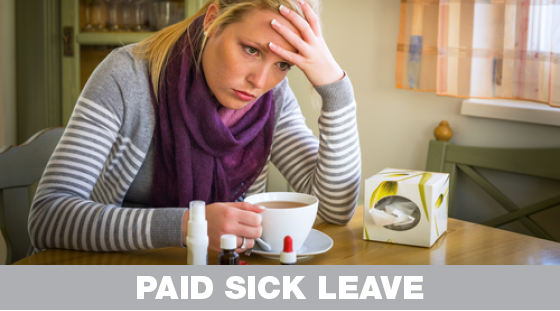 How is implementing the paid sick leave law affecting day-to-day operations at your company? 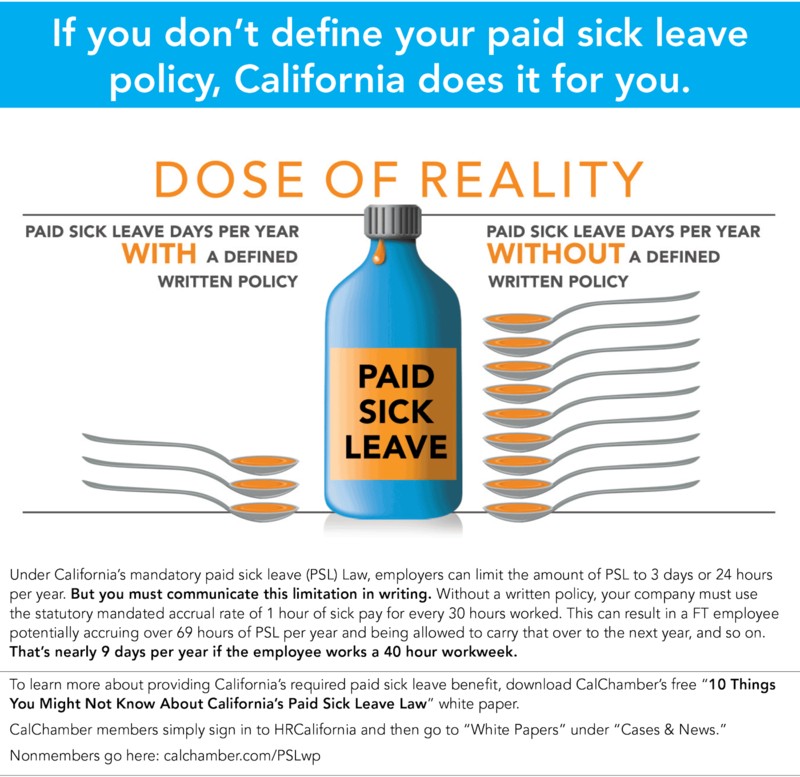 Share your experience by emailing sickleave@calchamber.com. Including information about your industry, location and the number of employees at your company will help CalChamber identify any patterns. No company-specific information will be published. 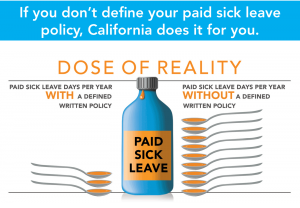 The infographic below illustrates important information about the paid sick leave law. Under California’s mandatory paid sick leave (PSL) Law, employers can limit the amount of PSL to 3 days or 24 hours per year. But you must communicate this limitation in writing. Without a written policy, your company must use the statutory mandated accrual rate of 1 hour of sick pay for every 30 hours worked. This can result in a FT employee potentially accruing over 69 hours of PSL per year and being allowed to carry that over to the next year, and so on. That’s nearly 9 days per year if the employee works a 40 hour workweek. To learn more about providing California’s required paid sick leave benefit, download CalChamber’s free “10 Things You Might Not Know About California’s Paid Sick Leave Law” white paper.